Happy Birthday, Marge is a ghostly tale set in the world of Sinful. It’s Marge’s birthday party, and Gertie wants to make it the best ever, especially since it’s the first birthday since Marge’s passing months ago. 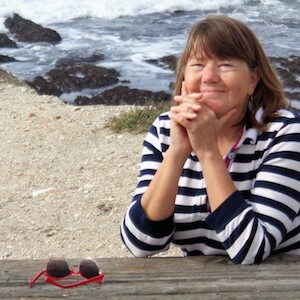 What the Swamp Team 3 doesn’t know is that this party has a special guest, the spirit of Marge, who is trying to deliver a message to them: Someone at the party is going to try to kill Fortune. But, without the ability to communicate with them, what’s a ghost to do? Will Marge somehow get the message delivered? Or will Fortune join the club of the formerly living? 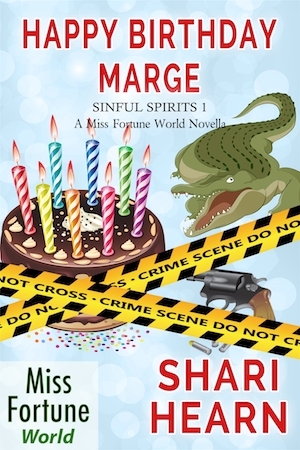 Happy Birthday, Marge is book 1 in the Miss Fortune World: Sinful Spirits featuring Marge (as a ghost) and other Sinful residents who reside in the ghostly realm.